I have been sewing like a mad lady this past week. 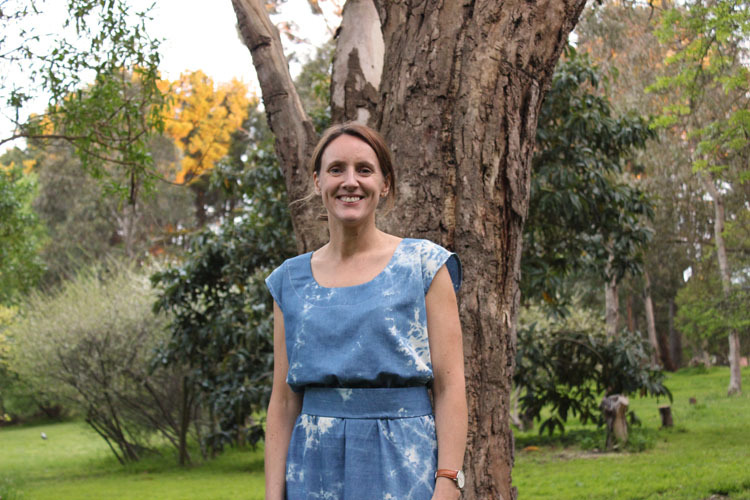 I have finished two dresses and one jumpsuit for myself which I am really happy with. 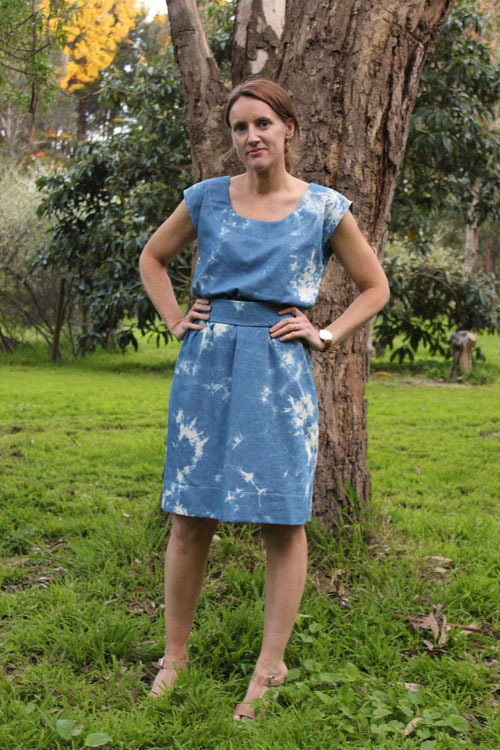 The first dress I finished is this one...my first foray into sewing with Style Arc patterns - the Olivia dress. I saw this gorgeous brown spotted Olivia dress on IG a couple of weeks ago and it was enough to encourage me to buy the pattern. I loved the simple silhouette and flattering shape. 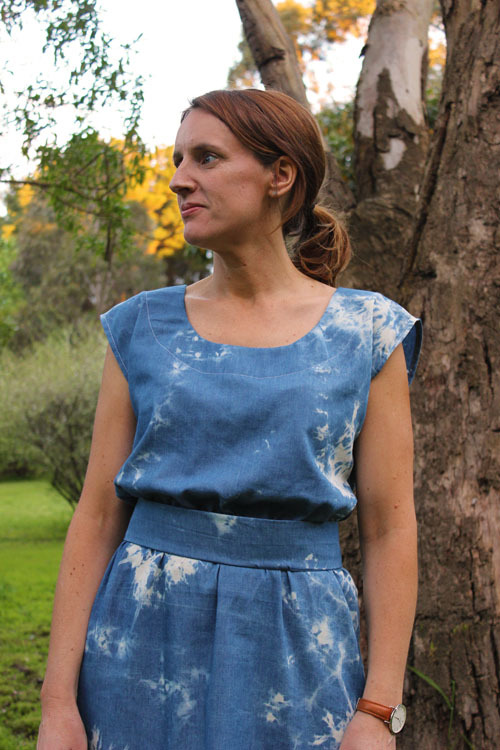 I found some tie dyed tencel and my local Spotlight and new it would drape well in this style. I bought a few metres since it was on sale and have plenty leftover for a dress for one of the girls. The pattern consists of only six pattern pieces - bodice front and back, skirt, neck facing pieces and belt/tie. Construction was a breeze. The waist is elasticised under the belt but looks much nicer with the belt on. I lengthened the belt so that it could be tied at the back. The armholes are just double hemmed but a bias hem would probably be slightly nicer. I made a size 8 AUS and am usually between an 8-10 AUS. I am glad I didn't make the 10 because the 8 had plenty of room and sits really nicely. 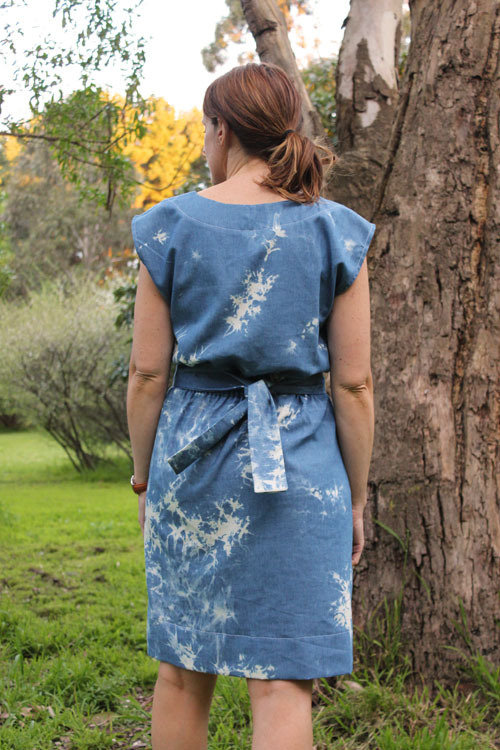 I found the dress a bit long so made a big hem which I love! I know I will wear this dress lots. It is casual but enough for me to wear to work but can also be dressed up with heels. It's also very comfortable and easy to wear. The dress looks lovely on! I love deep hems also. vip2541 You will be able to enjoy it. Let's say the ball has passed 20 minutes, you want to change the team to cheer the team to play better. The money you had previously been unable to recover. Or would you choose to bet on who will score? The team that this team can do. The opportunity to give the player the opportunity to bet in many ways is good. Than one way Only the money will be reduced by the difficulty of the game itself. The online casino can make you have as much money as a table ball. If you bet on the hero88 is the best financial web site.